Lin Zheng is an accounting expert, focused on financial reporting and disclosure, international accounting, and corporate governance. Lin Zheng is a clinical associate professor of accounting at the Kelley School of Business in Indianapolis. Her areas of expertise include financial reporting and disclosure, international accounting, corporate governance and firm performance, and corporate social responsibility. A certified public accountant, Zheng received her Ph.D. in accounting from the University of Alabama. She earned her undergraduate degree in accounting from China’s Xiamen University in 1997. 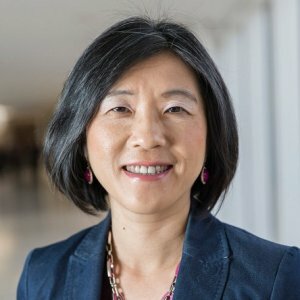 Zheng worked as an auditor and financial analyst for two years before coming to the United States to pursue her Ph.D. Zheng taught at a number of universities across the country before coming to the Kelley School in 2014. Zheng was recently appointed an IUPUI faculty fellow, focused on strengthening internalization efforts across the campus and at the Kelley School. A newly-elected member of the Carmel Clay School Board, Zheng is also working to bring global learning opportunities to students in central Indiana before college. Lin Zheng, clinical associate professor of accounting in the Kelley School of Business, will focus on strengthening IUPUI's internationalization efforts. 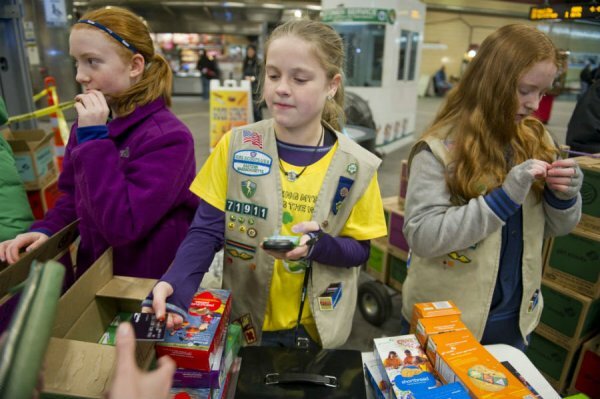 Zheng discusses the important of the development in financial literacy when it comes to the Girl Scout cookie program. – This paper aims to investigate the relationship between external regulation pressure and corporate social responsibility (CSR) reporting decision and comprehensiveness and the relationship between block ownership and CSR in China. – This paper provides descriptive statistics of the current state of CSR reporting in China. In addition, regression models are utilized to analyze the behavior of CSR reporting of a sample of 5,334 listed firms in China. – Our paper records a significant increase of CSR reporting in the period of 2008-2010. Using a sample of 5,334 listed firms in China, we find a positive yet weak association between centrally controlled state-owned enterprises (SOEs) and CSR reports. Moreover, we find that firms with more concentrated block ownership are less likely to issue CSR reports. – Taken as a whole, our analyses suggest that the entrenchment effect from blockholders seems to dominate the incentive effect and this depresses the quality of CSR reports. – Despite the well-known effect of economic factors on CSR decision, corporate governance such as ownership structure could complicate the final results. Furthermore, the institutional background of the country and its implications for corporate governance should be considered jointly and concurrently. – The positive effect from regulatory pressure on centrally owned SOEs suggests that regulation remains an effective tool to encourage CSR reporting in emerging markets. – First, our study confirms prior research that CSR disclosure decision is primarily driven by economic and strategic considerations. Moreover, our results suggest that a country’s institutional background, in addition to economic and strategic considerations, influences the decision and quality of CSR disclosures. Second, we extend the literature on ownership structure, particularly with respect to blockholders. Third, our research design addresses a weakness in earlier studies which are biased exclusively on state ownership to the exclusion of all other blockholders. No prior study that we are aware of has considered the associations between motivation, actual ability, self-perceived ability, and distraction factors and student performance in advanced level undergraduate accounting courses. This study considers the associations between these four factors and student performance in Advanced Accounting and Contemporary Financial Accounting Issues. Students enrolled in a highly diversified, commuter, public university located in one of the largest cities in the United States provided responses to 12 questions used as independent variables. Of the three variables used as proxies for motivation, the grade the student would like to make in the course was found to be significantly associated with student performance, but intention to take the CPA exam or attend graduate school were not. Additionally, the grade in Intermediate Accounting II and GPA (used as proxies for actual ability) were found to be strong predictors of student performance. Self-perceived reading and listening abilities had moderate associations with student performance, but self-perceived writing and math abilities did not. Finally, holding non-accounting-related jobs, working high numbers of hours per week, and taking on higher course loads during the semester are factors which were, surprisingly, not significantly correlated with student performance. One important implication of this study is that accounting faculty need to find ways to motivate their students, but need not discourage them to take more courses per semester or work more hours per week outside of school. The variance ratio test suggests that we cannot reject the random walk null hypothesis for three major US stock market indexes between 1990 and 2007. Moreover, we find that the naïve forecasting model based on the random walk assumption frequently generates more accurate forecasts than those generated by the autoregressive integrated moving average forecasting model. Consistent with this finding, we find that the regular application of three commonly used technical trading rules (the moving average crossover rule, the channel breakout rule and the Bollinger band breakout rule) underperform the buy-and-hold strategy between 1990 and 2007. However, we observe significant positive returns on trades generated by the contrarian version of these three technical trading rules, even after considering a 0.5 per cent transaction costs on all trades. – The purpose of this study is to identify which of factors are associated with student performance in advanced accounting and auditing courses. – Students enrolled in a highly diversified, commuter, public university located in one of the largest cities in the USA provided responses to 12 questions used as independent variables. – Of the three variables used as proxies for motivation, the grade the student would like to make in the course was found to be significantly associated with student performance, but intention to take the CPA exam or attend graduate school were not. Additionally, the grade in intermediate accounting II and grade point average (used as proxies for actual ability) were found to be strong predictors of student performance. Self‐perceived reading and listening abilities had moderate to strong associations with student performance, but self‐perceived writing and math abilities did not. Finally, holding non‐accounting‐related jobs, working high numbers of hours per week, and taking on higher course loads during the semester are factors which were, surprisingly, not significantly correlated with student performance. – No prior study that we are aware of has considered the associations between motivation, actual ability, self‐perceived ability, and distraction factors and student performance in advanced level undergraduate accounting courses. Using the variance ratio test, we reject the random walk null hypothesis for class A and class B stock market indexes traded on the Shanghai and Shenzhen stock exchanges. Consistent with this result, we find that the ARIMA forecasting model generates more accurate forecasts as compared to the naive model based on the random walk assumption. We also observe significant positive returns for individual stocks after transaction costs on buy trades generated by the contrarian version of three commonly used technical trading rules: the moving average crossover rule, the channel breakout rule, and the Bollinger band breakout rule.